SimplyLearnt android app has received a lot of love and feedback from its students. We continue to improve the usefulness of the app to our students. In an important update released yesterday, along with many usability fixes we have enabled purchase of our popular SMART Subscription (and its combo with Topper Test Series) packages. 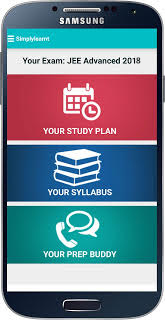 SimplyLearnt's android app is the fully featured andoid app that lets you complete your preparation for your entrance exams. All major exams available, Engineering Entrance, Medical Entrance, NTSE and CAT. Go now and install The Best Test Prep App! on your Android Phones!